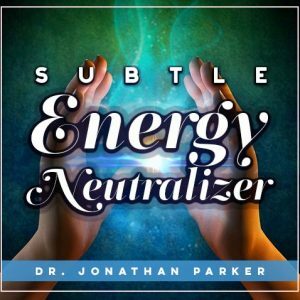 Have you felt like your energy is drained? It might be! Do some issues you struggle with keep coming back? That’s not just your karma! Have you unexplained aches and pains? There is always a cause! Does it seem like it takes a lot of effort to move forward? It is probably not bad luck! Have you had a hard time controlling your weight? It may not be what you think! Do you have mental confusion? It may not be in your head! Do unexpected emotions come up out of “nowhere?” They’re from somewhere! These are common questions people have asked me about in my private sessions, and the answers to them don’t lie where you’d think to look. Most people look for physical solutions to solve physical conditions, and sometimes that solves them; however, there is often another source of these conditions. Can you guess what that might be? It is not uncommon for the answer to be where most people would never think to look. This is where learning to tune in to your inner space comes in handy. So in this and the next two articles I’ll be telling you what to look for and where to look. You’ll need to spend a small amount of time applying some simple meditative techniques, but you’ll be surprised at what you will discover. You may realize you’ve been struggling with some of the same issues for years, but knowing it hasn’t freed you from it. Why is that? I work with clients who tell me it wasn’t until I guided them to understand the deep subtle causes of their problems that they were able to move past them. So knowing about an issue is only the first step to a permanent solution. I personally know some people who have spent thousands of dollars with a plethora of techniques and therapy sessions, who told me it wasn’t until I guided them to understand the deep causes of their problems that they were able to make progress. This is because most therapies and self-help programs do not address the patterns held in a person’s subtle energy field. So what is that all about? It comes down to the subtle energy patterns everyone has set in motion. These patterns show up first in your aura and chakras and then you feel the effects in your body and emotions. That’s right. Whatever is happening in your subtle energy field is affecting your life. What’s more when you shift or change your energy field, your life will change as well. A good model to follow is addressing the kinds of energies you have stored in each of your chakras. 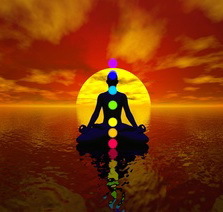 The chakras are like energy computers that store and process your thoughts, beliefs, and feelings. Each of your major chakras does this a little differently from the others. One of your major chakras is near where your physical heart is and it processes such negative issues as betrayal, heartache, regret, grief, and loss. When the heart chakra is open and clear it enables you to operate your life from a place of unconditional love and open-hearted acceptance. This enables you to experience richer relationships with yourself and everyone in your life. So it comes down to what is stored in each of your chakras and how you process events in your life. Try this. Set aside ten minutes for this meditative exercise. 1. Sit back and relax. 2. Put one of your hands over the upper center of your chest and attune yourself to what you sense in the heart space in your chest. 3. You may feel emotionally drained, you may notice feelings of jealousy and possessiveness, or issues of trust, fidelity or acceptance. Or you may have a memory pop up of someone you have a relationship with, or you may notice other dark emotions. Whatever it is you feel, just notice how the heart space feels. 4. Make note of two or three memories or reactions that pop up. You don’t need to do anything with those memories at this point. Just make note of what they are. Identification of issues is the most important part of the clearing and healing process. 5. Be willing to surrender and release any feeling, emotion, or conclusion that surfaces. Keep exploring this way two or three times during the next week and in the next article in this series on the chakras I’ll go deeper into the workings of your chakras and how you can go deeper in getting clearer and more soul directed. 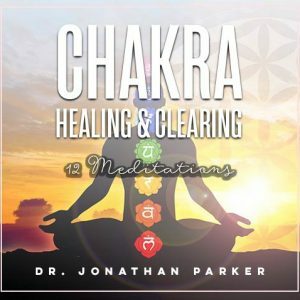 Don’t miss the next article because I’ll give you a link to a free guided meditation for you to clear and balance your chakras, so keep on the lookout for my next article in this series.